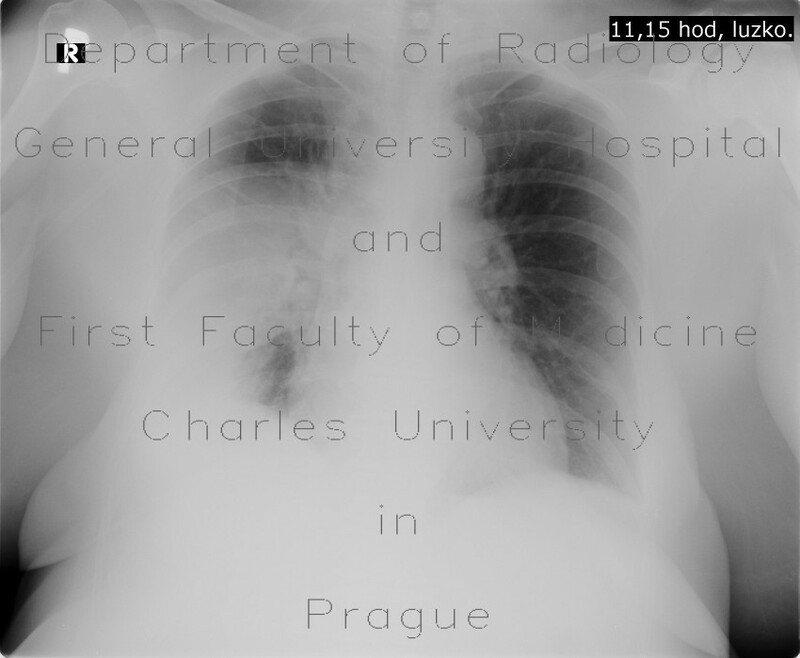 On initial chest radiograph, almost homogeneous airspace consolidation can be appreciated in the right middle and lower lung field. A follow-up radiograph showed oval lucency, that was likely to an abscess. Subsequent CT showed a thin-walled lung abscess with small air-fluid level, with adjacent bronchiectasis. The abscess was connected to the bronchial system.